Mediterranean diet is emerging to be one of the most preferred diet in the health and nutrition circuit. The popular diet is typically followed in the Mediterranean countries, inspired by the healthy dietary patterns of Greece, Southern Italy and Spain. The diet is rich in vegetables, fish, fruits, nuts and monounsaturated fatty acids -- that means olive oil. According to a latest study, eating a Mediterranean diet may significantly boost the chances of women receiving in-vitro fertilisation (IVF) to have a successful pregnancy and live birth. 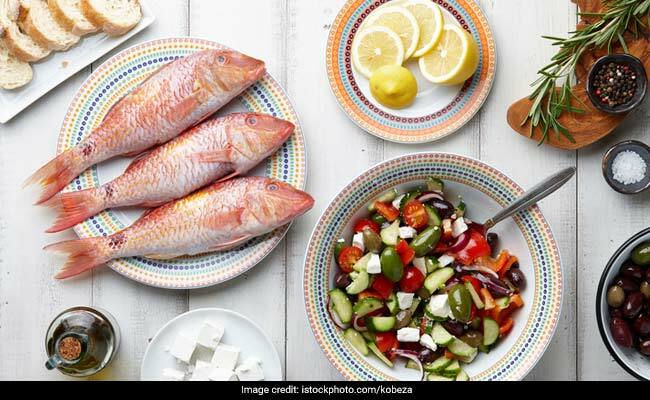 According to the researchers from Harokopio University of Athens in Greece, Mediterranean diet can do wonders for women planning to carry out IVF. For the study, they asked the women about their diet before they underwent IVF treatment. The findings revealed that women who ate more fresh vegetables, fruit, whole grains, legumes, fish and olive oil, and less red meat, had a 65-68 per cent greater likelihood of achieving successful IVF and birth compared to women who did not consume a Mediterranean diet. "The important message from our study is that women attempting fertility should be encouraged to eat a healthy diet, such as the Mediterranean diet, because greater adherence to this healthy dietary pattern may help increase the chances of successful pregnancy and delivering a live baby," said researcher Nikos Yiannakouris. IVF is a process of fertilisation where an egg is combined with sperm outside the body. Several women who have problems conceiving naturally opt for IVF to have an offspring. The study that was published in the journal Human Reproduction, focused on dietary patterns rather than individual nutrients, foods or food groups. The rsearchers examined 244 women via a food frequency questionnaire when they enrolled at an Assisted Conception Unity in Athens, Greece, for their first IVF treatment. They were asked how often they ate certain groups of food in the preceding six months. The results gave the women a MedDiet Score, which ranged from 0-55 with higher scores indicating greater adherence to the Mediterranean diet. The researchers examined women between 22-41 and were non-obese. They divided women into three groups depending on their MedDiet Score: the first group had scores between 18 to 30, the second scored between 31-35 and the third group scored between 36 to 47. The findings revealed that as compared to the 86 women in the highest scoring group, the 79 women in the lowest scoring group had significantly lower rates of pregnancies (29 per cent versus 50 per cent) and live births (26.6 per cent versus 48.8 per cent). When the researchers looked at women younger than 35 years old, they found that every five-point improvement in the MedDiet Score was linked with about 2.7 times higher likelihood of achieving a successful pregnancy and live birth. Overall, 229 women (93.9 per cent) had at least one embryo transferred to their wombs; 138 (56 per cent) had a successful implantation; 104 (42.6 per cent) achieved a clinical pregnancy (one that can be confirmed by ultrasound); and 99 (40.5 per cent) gave birth to a live baby. Researchers didn't confirm and association between diet and the chances of successful pregnancies and live births among women aged 35 and older. However, they do believe that the pattern could be because of hormonal changes, fewer available eggs and other changes that women experience as they get older could mask the influences of environmental factors such as diet.